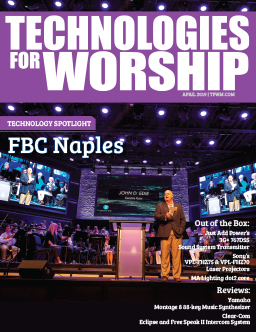 Churches are looking for more effective ways to reach out to their communities, and advanced encoding and decoding (codec) technologies offer a cost-effective means of accomplishing this. By encoding and streaming real-time video live among different sites, multi-site churches can convey the sense that all church members are worshipping together at the same time. There is no way to properly quantify the effect this has on people- suffice it to say that it can create a resounding impact. So how do codecs help to create these types of environments? 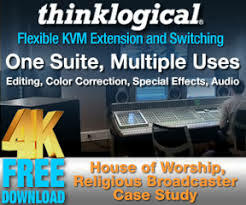 Encoding technologies today offer appealing quality and price points for houses of worship to broadcast very lifelike virtual streams out to remote campuses. Using efficient streaming platforms, some houses of worship are even using bidirectional video and audio links to support live interaction among these sites. In order to do this, the staff must take on the challenge of determining how to deliver their content to a remote location with the best and most reliable delivery methods. Because most houses of worship are launching outside of metropolitan areas in rural locations, and because of limitations by local ISPs, the least expensive and most common option for many houses of worship is to stream video over the public Internet. A DSL or cable modem connection provides the least performance compared to a connection including one or more T1 lines. Far less expensive than a specialized service, these public Internet options can be duplicated easily for each location as the church continues to expand its reach. The simplest type of streaming is the unidirectional model (broadcasting in one direction), which can be implemented simply and reliably with the right combination of technical components. Taking it one step further, these streams can even be delayed for “push” only solutions. Bidirectional or “concurrent” streaming can be most effective with higher-performance Internet connections. For true live, low latency bidirectional communications, in which multiple signals are being sent concurrently, churches would benefit greatly from a private network, such as an MPLS (Multi Protocol Label Switching) based distribution network. These networks are capable of providing the necessary and guaranteed quality of service for concurrent streaming. A church will typically require bandwidth in the range of 1.5 to 2 Mbps for SD video. For HD, 720p video demands from 4 to 6 Mbps and 1080i requires about 5 to 7 Mbps. For concurrent communications, where a 1080i broadcast could require 5 Mbps for upload and download, maintenance of the network service level is critical. While network needs ultimately depend on the level of interactivity that each church wishes to achieve, it is fundamental that the bandwidth of that network be guaranteed. Without this guarantee, live video will not be transmitted effectively. If the ISP does not guarantee quality of service between facilities, the church must apply additional techniques to mitigate packet loss and other issues associated with the public Internet transport. There is no wrong way to deliver video, but selecting the right core components from end to end is the difference between success and failure. The key lies in balancing the initial capital equipment costs against recurring costs of a network connection. Churches that choose to invest less in their networks will have to make a higher front-end investment in the equipment at each site in order to experience good video quality. The reverse is true, as well. A larger investment in a network with sufficient and reliable bandwidth will allow the church to make a smaller investment in encoding and other processing equipment. In the worship setting or any other venue, the considerations for selecting an appropriate codec are consistent. Foremost among these considerations is not only the technical capabilities of a given system, but also the support that comes with the product. The responsiveness of the manufacturer is critical to the successful implementation of a live video streaming solution. The flexibility of the system is also vital, as it ensures the utility of the encoder within the church’s current and future video delivery plans. With respect to actual system performance, the single most important characteristic is the encoder’s ability to achieve the highest possible quality at the lowest possible bit rate. This standard of evaluation very quickly narrows competition among encoding products. When price point is considered, as well, there really are very few feasible options. Ideally, an encoding system used for delivery of live video from a main worship center to multiple affiliate sites should be capable of encoding multiple HD video streams. It should also be able to handle the many audio streams. Low latency is critical; the encoder must work at full frame rate with minimal delay to deliver a fluid viewing experience. The system must also be sophisticated enough to ensure the continuity of video, even when the church has little control over the quality of the connection. The refinement of H.264 / MPEG-4 AVC compression technology has facilitated the development of encoders that meet low bandwidth requirements, while keeping latency as low as 70 milliseconds in the delivery of HD 1080p video. Powerful codecs now make it possible for churches to leverage various private networks and the public Internet for delivery of true-to-life video communication from site to site at bandwidths ranging from 256 kbps to 10 Mbps. For those churches looking to expand their footprint even further, certain encoding systems can output streams in both high and low resolutions, in turn supporting delivery of HD video to remote worship sites, as well as lower-resolution content via Web browsers or to mobile devices. Encoding quality is essential to successful delivery of worship video to remote sites, but the quality of production itself is a key factor. Churches planning to establish concurrent bidirectional communications must overcome differences, both in time and location. Timing presents a real challenge, as the two (or more) sites must be synced together according to the temporal offset between them. In the case of joint musical performances, the production teams must make sure that, even with this offset, all performers are playing to the same tempo or to a click track. These practices can help to provide typical service flow timing while in several different locations. Video captured and produced at each site must also be unified in look and quality, particularly in the multistream environments in which audio and video are mixed at the remote site. Lacking consistency, these elements can be a point of disengagement for church members, especially when broadcasting a static lockdown shot of the teaching pastor. To join the two locations together and maximize the level of communication, the production teams at both sites need to ensure that they use the proper lighting wash for video, that cameras at the two locations provide the same standard of video quality, and that quality and the quality of the audio matches accordingly. Since all these elements are mixed into live worship elements at a remote site, they must blend in smoothly. While the production staff can control and monitor the video, adjust audio levels and mixes, and take other steps to add a greater sense of realism, the job of creating a seamless experience is easier when much of this work has been done ahead of time. Encoding quality, network quality, and production quality all contribute to effective delivery of video among multi-site churches. If the system is well designed and easy to use, and if the encoder and network are both configured correctly at launch, staff at the church should be able to carry on services with little attention to network issues. The goal is to design a system that will provide the ability to have a reliable connection. 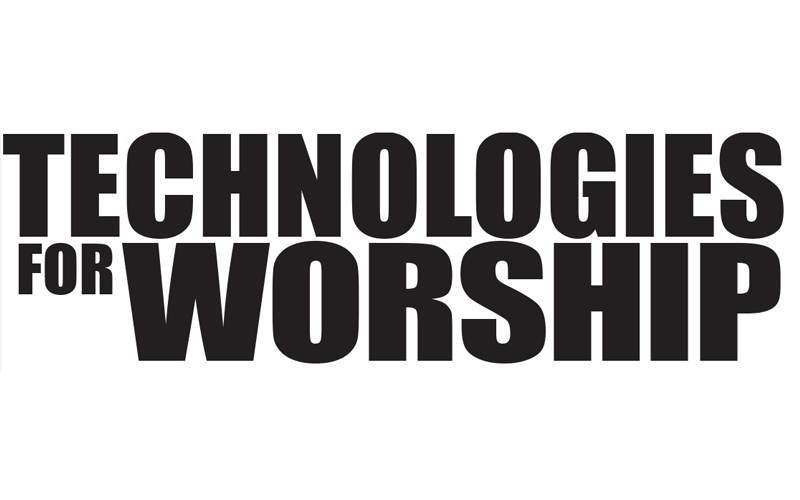 Simply, rather than worry about bandwidth, latency and the technical aspects of encoding and delivering live video, church staff and the congregation as a whole can focus on the shared experience of praise, worship, and teaching.